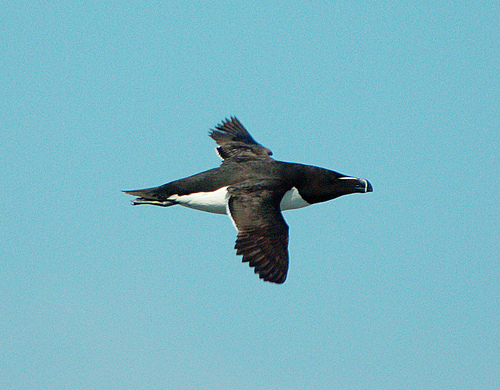 The Razorbill is a seabird that hunts for fish under water. It can dive deep and is an excellent swimmer. 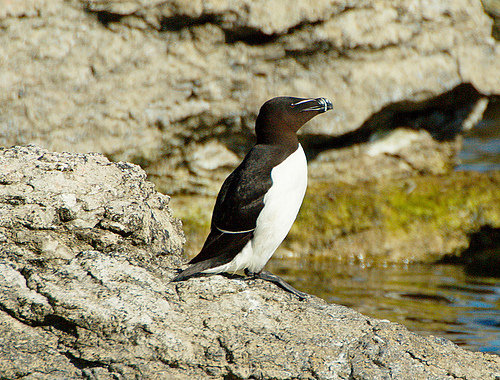 The Razorbill has a thick strong beak. The Guillemot has a thin dagger-shaped beak.